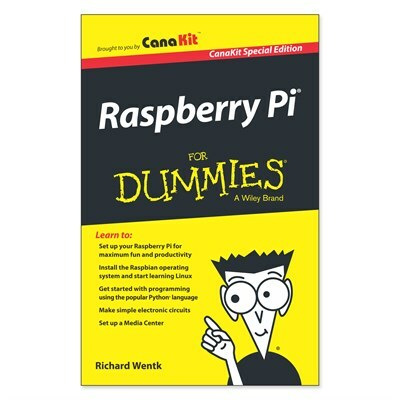 Includes a Raspberry Pi For Dummies booklet, a Raspberry Pi 3 board and all essentials to get started! 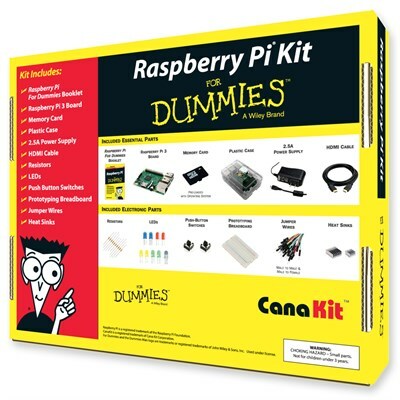 The CanaKit Raspberry Pi Kit For Dummies is bundled with everything you need to get up and running within minutes in the exciting world of Raspberry Pi! 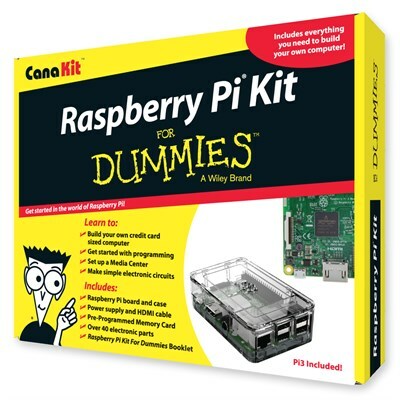 The Raspberry Pi For Dummies booklet included in the kit introduces a universe of fun and digital learning based on the Raspberry Pi board, making the Raspberry Pi intuitive and easy to learn. 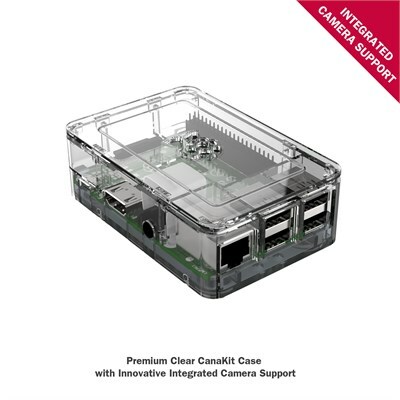 Assemble a Raspberry Pi System: Identify the parts and connect them together. 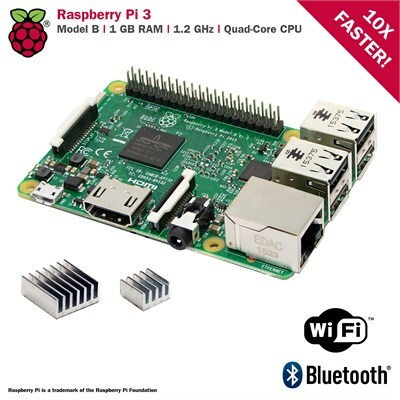 Set up your Raspberry Pi for maximum fun and productivity. Install an operating system of your choice and explore the software: Discover the amazing software tools included for free with the Pi. 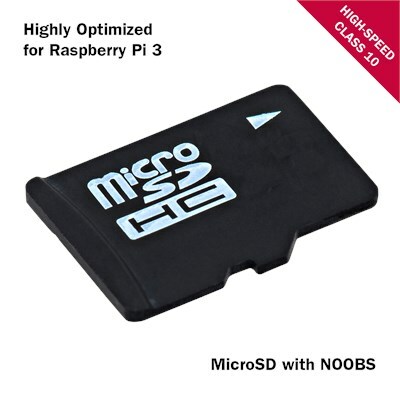 These are pre-loaded onto the included Rasberry Pi Kit For Dummies memory card. Dig Deeper: Begin programming and creating your own electronic circuits with the included electronic parts. 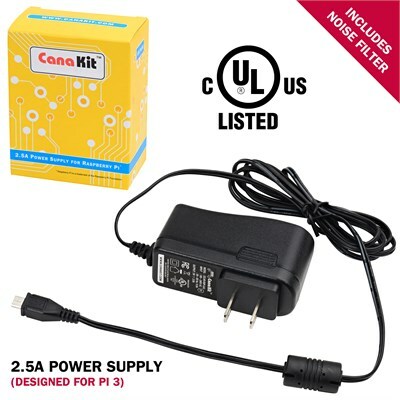 CanaKit 2.5A Micro USB Power Supply with Noise Filter (UL Listed). 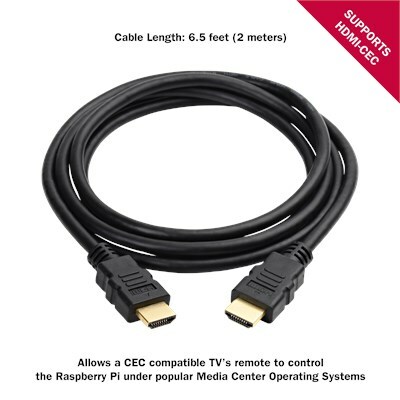 This is specially designed for the Raspberry Pi 3 for maximum stability.